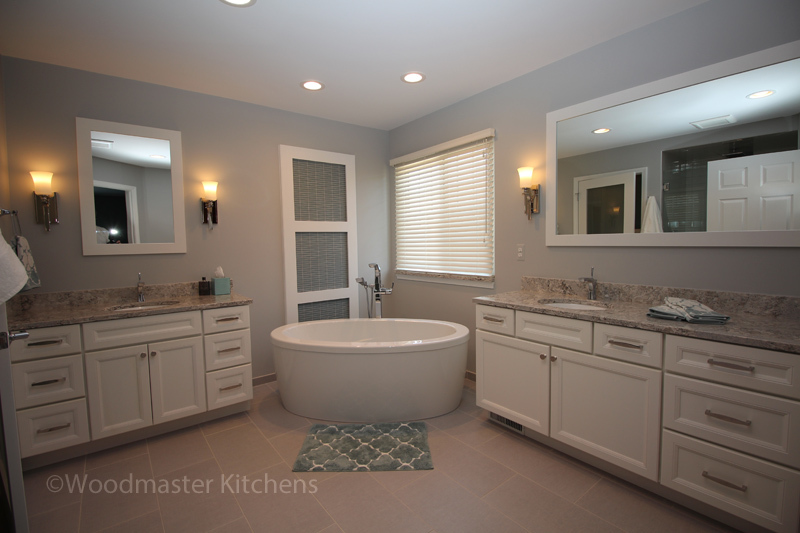 Whether you are updating your home to make it a more comfortable living space or to improve your resale value, a kitchen renovation or bathroom remodel is always a good bet. Updating these well-utilized spaces improves quality of life, enhances your home style, and offers practical solutions to the dilemmas of daily life. If you are planning to sell your home, a newly remodeled kitchen or bathroom may give you an edge over other homes in your region, and investments in these spaces improve your re-sale value. When it comes to a bathroom renovation, there are many features that will turn your space from purely functional to fabulous. Products like a vanity cabinet, sleek faucet, freestanding tub, or luxurious shower have an obvious, visible impact on design style and comfort. What about radiant underfloor heating? This invisible feature may not seem like a top priority when planning a bathroom remodel, but it can have an enormous impact on your quality of life. It is also a much sought-after feature that will catch the eye of potential buyers in any future sale of your home. So how does underfloor heating work and is it the right choice for your bathroom design? First, let’s explore what exactly underfloor heating is and how it works. Radiant underfloor heating is installed underneath your flooring and can be used in select spaces or throughout the entire home. It can be a supplement to another heating system or be used as the primary heat source for an entire area of the home. As installation involves removing the floor, a remodeling project is the perfect time to explore underfloor heating as an option. If you are not embarking on a remodel, then the expense and disruption of ripping up floors just to install underfloor heating may be prohibitive. While a heated floor may seem like pure luxury, it can also be a practical and effective way to keep your room (and you) cozy. Hot air rises and with a normal heating system this means it immediately moves toward the ceiling and away from you. Underfloor heating is concentrated at your feet and only moves up in the room slowly. Not only does this give you the blissful feeling of stepping onto a toasty, warm floor, it also makes the rest of your body feel warmer too. It’s a win-win where you feel warmer, and you require less heat throughout the house. What types of underfloor heating are available? Radiant underfloor heating is available in several different systems, some geared more toward commercial locations and some toward residential. In the residential space, the two systems most often used are hydronic and electrical. The hydronic system uses hot water tubes, and has a higher installation cost but a lower ongoing operational cost. Electrical systems use a mat with electric wires, and are less expensive to install but cost more to operate. Is it the right choice for your bathroom design? For a typical bathroom remodel, the best choice is an electrical system as the lower installation cost makes more sense for a smaller space. If you plan to install underfloor heating throughout a larger area of your home, a hydronic system may be a better solution. Your experienced bathroom design professional can assess your space and advise on the ideal choice. Another factor to consider is your preferred flooring material. Underfloor heating is most effective with materials like stone, ceramic, and polished concrete as they are better conductors for heat. Since these materials are common in a bathroom design, underfloor heating is quite popular for bathrooms. Carpets insulate the floor and may keep you from getting the maximum value from underfloor heating, but your remodeling professional can advise on underfloor heating systems more compatible with carpeting. 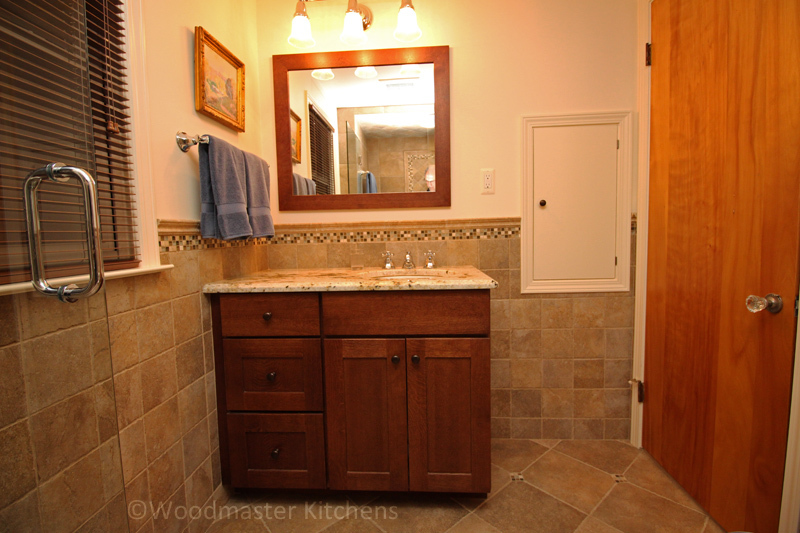 Are you preparing to rip up your floors for a full bathroom remodel? This is the ideal opportunity to install underfloor heating and bring a bit of luxury to your bathroom space while also enhancing resale value. Contact us today to get started on your new bathroom and to find out if underfloor heating is the right choice for you.